For traffic stopping colour in your garden then you need blocks of the same plant all flowering at the same time. 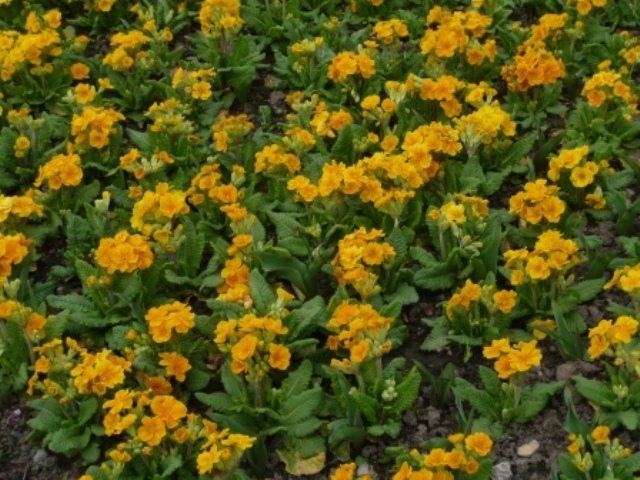 These primula are in a near-by garden in a long row against a wall. It catches early morning sun and is protected from wind and the worst of the frost. The colouring is stronger than the primrose or many other primulas and even one or two plants whould look good but massed together they are stunning. Not always the easiest colour to place in the garden. It can be too brash and upstage any planting companions. Yellow cries out for attention when on its own but teamed with white it can take on a lightness of tone that extends the attraction. 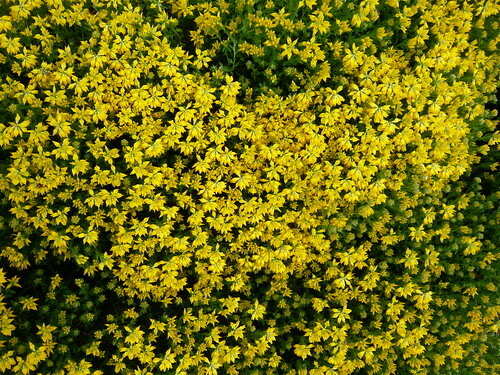 A single golden foliaged shrub can also bring life to the dreariest part of the garden. 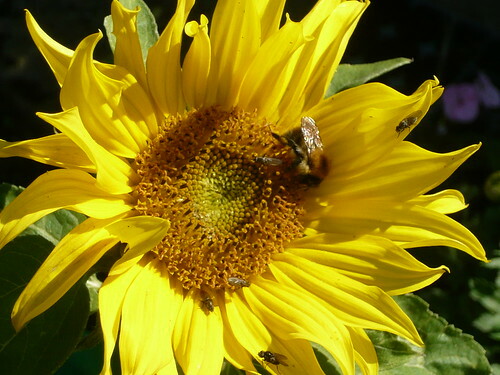 The yellows of spring are amongst the best you will find in the garden, summer sun can burn out some yellows. Hamamelis intermedia Pallida is a Witch Hazel that starts the annual yellow flowering season in late winter. Numerous narcissus have good yellow colouring but avoid the two tone varieties of daffodil. try the small Hawera. Kerria japonica verges towards the warmer coloured orange yellows whilst the Paeonie mlokosewitchii has a lemon yellow flower of dramatic proportions. Coreopsis is a current favourite of mine and Potentilla fructiosa would be if I could get them to flower a bit more consistantly. 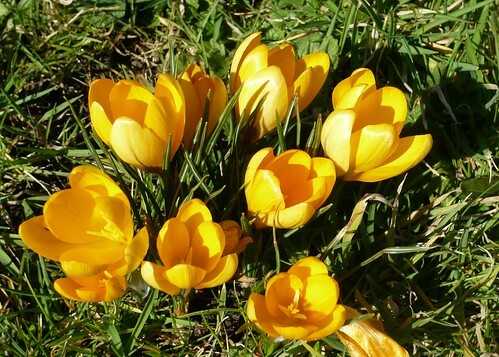 Yellow is less prevalent during winter but is one of the best early spring colours amongst Daffodils and Crocus. It is probably spring when yellow features as my own top garden colour. For summer I am looking for a crystal clear sky blue and red is an autumn favourite. What ever the season I will always retain a soft spot for a good yellow. 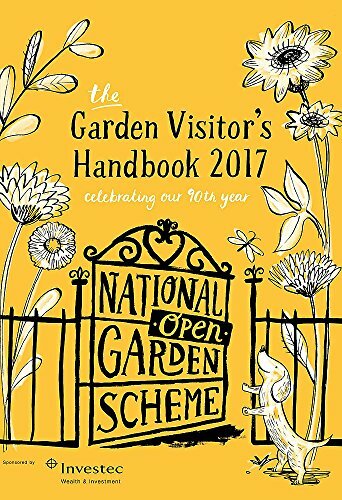 2 Responses to Best Garden Colour – Yellow? The very best part of yellow primroses is that they have the best scent! Yellow is a happy color!